Lumberman Frederick S. Stevens owned a sawmill on the river at Plymouth Avenue, and chose prolific Minneapolis contractor Theron P. Healy to build this home for him in 1890. This block was on the edge of residential construction in 1890, and still largely vacant (although the Young House just across the street to the north, at 1501 Dupont, was already in place). This home, more than most in the neighborhood, has endured many significant changes to its structure. By 1920 the home had been converted to a duplex, and in 1960 it became an eight-unit dwelling. By 1976, when it was purchased by its current owners, the home was a six-unit apartment building. Finally, in the early 1980s, the current owners converted it back to the single-family residence it was intended to be. In 1950, the home was sided with fake shingle-style brick called Insulbrick, which is still visible in the upper gables. The fake brick was removed over a four-year period, during which the siding was stripped to bare wood and repainted. The color scheme was chosen from historical paint charts supplied by State Historic Architect Charlie Nelson, who lived just down the street. The front porch was torn off and completely rebuilt to its original specifications. The rear porch was designed and added by the owner in 1996, to replace a poorly-planned porch added on by a previous owner. The porch posts were duplicated from photos of the original, and an original baluster (railing) found under the porch was duplicated as well. This is an excellent example of a compatible addition. Joel B. Stanchfield, a long-time Minneapolis resident, was listed as a clerk in the 1859 St. Anthony and Minneapolis directory. Likely an employee at Stevens’ sawmill, he apparently also resided with Stevens both before (at 2946 Humboldt Avenue North) and after construction of the new house in 1890. He also built a storage barn on the property even before the house was constructed. That barn was converted to a six-vehicle garage in 1910, and torn down in 1962. The home features a wraparound porch with lathe-turned spindles on its east and south façades, and a unique second-story open turret on on the southeast corner of the facade which blends into the house by a continuous roof line. Its projecting bay on the second floor of the east façade features intricate detailing and an almost full-circle "Moorish arch" opening for a picture window. Note also the opening encircled by transom light and curved side lights. A continuous frieze wraps around a majority of the second floor, and is decorated with dramatic decorative squares and carved relief. 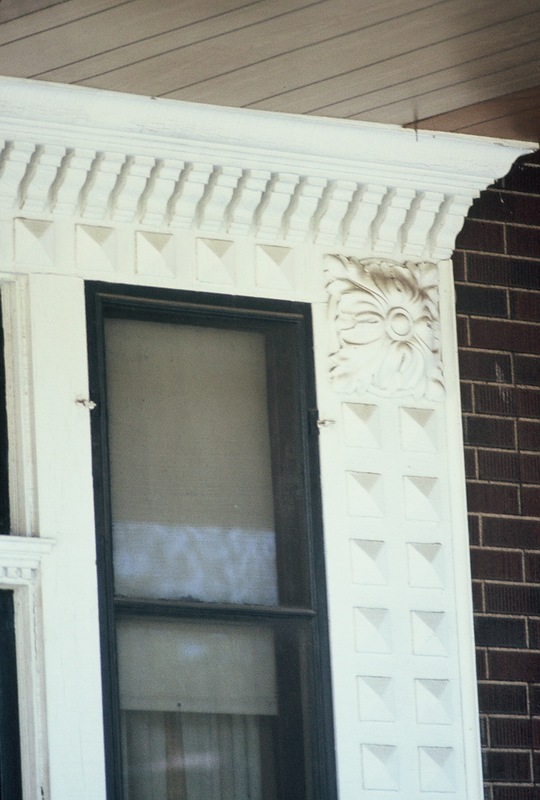 This same relief pattern is seen over windows on all façades of the house--most prominently on the east façade picture-window surround--and also under the second-story soffit and on the roof line. As is typical of so many Queen Anne houses in the Old Highland neighborhood, the north (or secondary) façade facing the crossing street is well-designed, with lively architectural features. This facade features a prominent two-storied curved bay capped by a recessed porch. The flanking bay on the east is a bracketed oriel window capped by a highly-decorative pediment, and an entablature supported by engaged lathe-turned columns. There is a pair of windows with transom on top. The slightly projecting oriel bay is supported by an elaborate base, which is supported by three scroll-cut brackets. The garage, moved here from another site, was selected for its architectural conformity to the house. This home is an excellent example of the vast amount of restoration done by hand by local residents in the Old Highland neighborhood, contributing an enduring rich architectural heritage to the city of Minneapolis. Preservation Designation Study - Frederick Stevens House. Rep. Minneapolis: Minneapolis Heritage Preservation Commission, 1986. Print. 1. Neet, Fred. 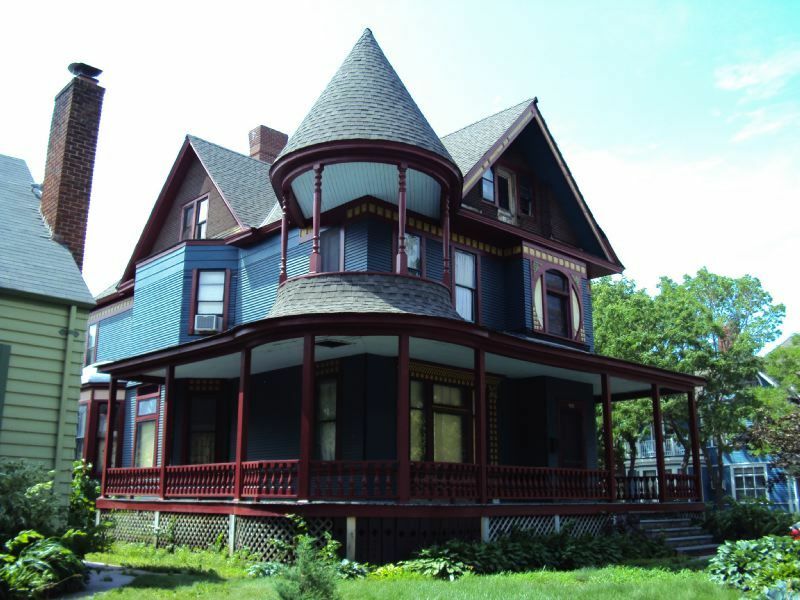 Local Heritage Preservation Designation Study: Frederick Stevens House. 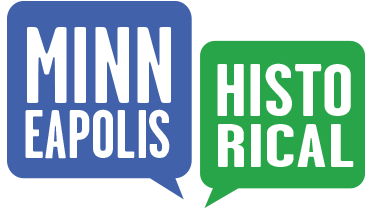 Rep. Minneapolis: Minneapolis Heritage Preservation Commission, 1986. Print. 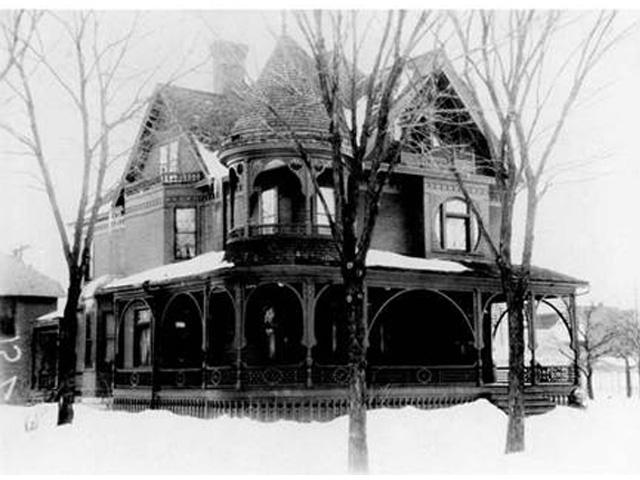 Old Highland Neighborhood Association, “1425 Dupont Avenue North: Frederick Stevens House,” Minneapolis Historical, accessed April 22, 2019, http://minneapolishistorical.org/items/show/24.